The Harley Davidson cam chain tensioner shoes have been an issue since 1999 until Harley updated to hydraulic cam chain tensioners in 2006 and 2007. 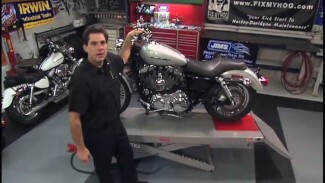 We show you how to update to hydraulic in our Harley Cam Chain Tensioner Shoe Project videos. Mike Roen walks us through the next level upgrade to gear drive instead of chain or the Twin Cam gear drive conversion. 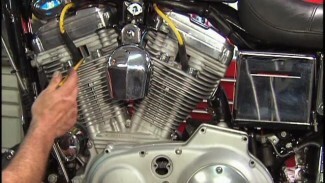 He reviews the poorly designed cam chain tensioners of the past and how Harley has “fixed” the issue but only after millions of motorcycles were produced with the shoes that can self destruct. 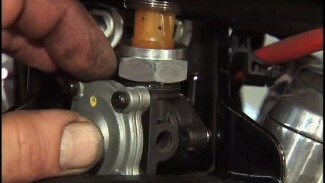 We have a new video project coming out soon on the Twin Cam gear drive conversion. It will walk you through how to check and see if you can upgrade to gears and if can we will be walking you through the process step by step. Harley Davidson’s CEO said their are an estimated 3.4 million used Harley-Davidson on the road today. The “used” marketplace is more active than ever with quality used Twin Cams out there and the price being right for many new and savvy riders to purchase. We do recommend the buyer beware of this potential issue on early Twin Cam motorcycles. Ask the owner if the cam chain tensioners have been upgraded to the Twin Cam gear drive conversion, when and to see the paperwork. Better yet have the motorcycle inspected to make sure they have been done. Check out the upgrade to hydraulic cam chain tensioner videos and watch our Cam Gear Drive Conversion Project HERE.